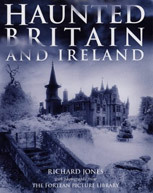 Haunted Britain and Ireland - Richard Jones's Guide to Britain's Ghosts. The British Isles are arguably amongst the most spectrally populous parts of the planet and this guide is aimed at anyone interested in discovering the ranks of dismembered, decapitated and desolate spectres that inhabit the country's stately homes and wind-blasted heaths. 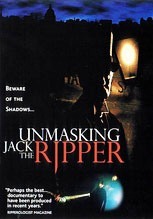 Region by region, ghost-seeker Richard Jones reveals, explains and delights in the tales of the tortured phantoms eager to restage their dark and turbulent pasts. The cast of characters ranges from ghostly legionaries that tramp the long-buried streets of Roman York to the malevolent fairy lights of Derbyshire's Longendale. From the shade of Ladford's murderous vicar to the grief-stricken white lady who may or may not have attended pop singer Madonna's wedding at Skibo Castle. 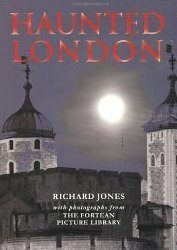 The book is illustrated throughout with photographs that really do capture the haunted essence of each of the featured locations. 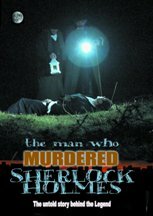 There are detailed and evocative narratives that not only tell the ghost stories of the houses, castles, inns and other locations, but which also give a gripping history of the events that behind the hauntings. 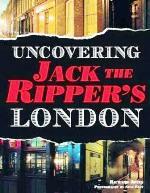 Each chapter begins with a suitably atmospheric and spooky poem and readers will also be able to peruse extracts from original documents that add extra depth to the stories. 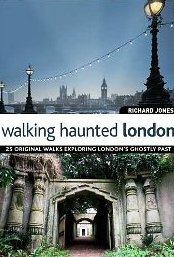 So if you are the sort of person who enjoys a good ghost story, and you want to explore the highways and byways of Haunted Britain and Ireland, then let Richard's best selling book introduce you to over a hundred of this spectred Isles most haunted places.